Freedom is sweet, but losing 20 years to weed charges is bitter. Carolyn is a freelance writer hailing from New Jersey and currently based in Kansas City. Sedelia, Missouri, native Jeff Mizanskey likes to keep busy. 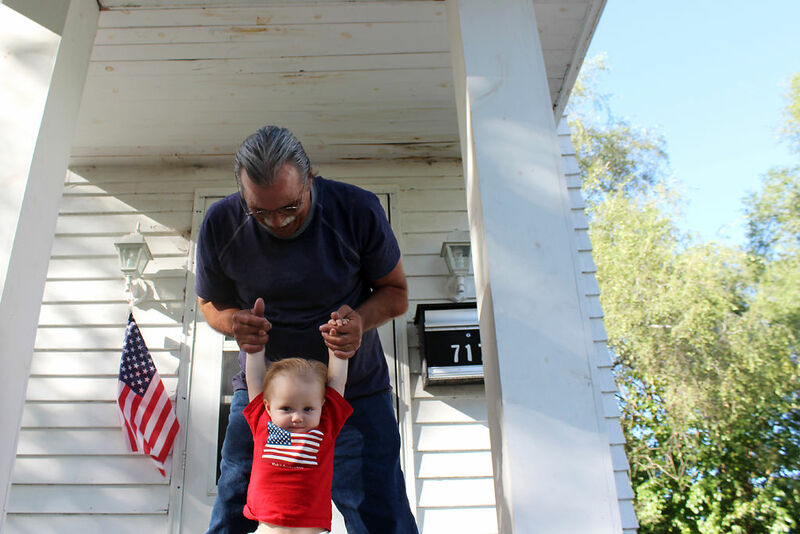 Between playing with this grandson and great granddaughter, automotive work, reading and catching up on television shows, he says he rarely has a free moment. The world has indeed changed in the time Mizanskey spent incarcerated in Missouri’s prison system from 1993 through 2015. “Gas, cigarettes, price of living—it’s up,” says Mizanskey, a soft-spoken and restrained man, over the phone one Tuesday afternoon this past June. His income from Social Security and odd jobs helps to keep him financially afloat. 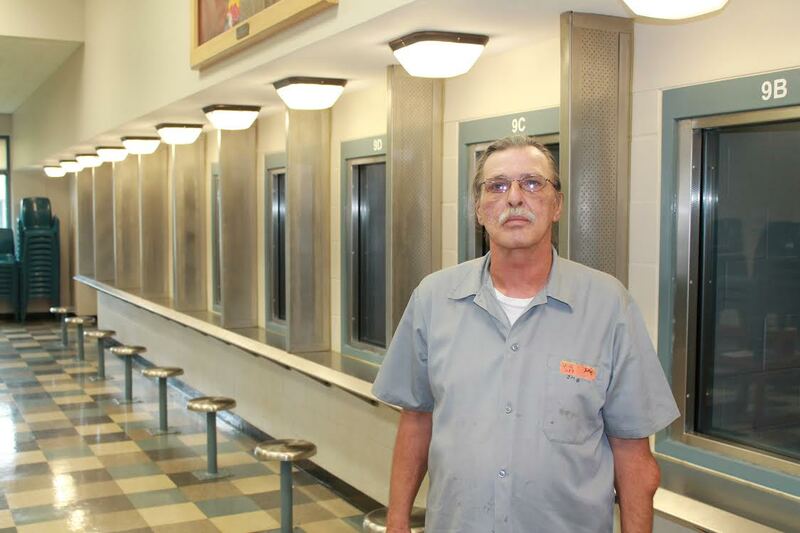 “Finding work out here is not easy for a guy that gets out of prison,” says the 62-year-old, though unfettered access to generations of family once beyond his grasp has been a priceless bonus. Up until his 2015 release after 21 years in prison, Jeff Mizanskey, an active pro-marijuana legalization activist, was the only known man to be serving a life sentence in the state of Missouri for a nonviolent, marijuana-related felony. His conviction—stemming from a felony arrest for possession and intent to distribute no more than seven pounds of marijuana in late 1993—was his third of three nonviolent marijuana-related busts in just under a decade. Twelve years passed in Mizanskey’s prison term before he discovered that the same law that mandated his life sentence also negated his eligibility for parole or probation; 10 more years followed before Missouri Gov. Jeremiah “Jay” Nixon finally signed a pardon commuting Mizanskey’s sentence to allow for parole. Public opinion related to marijuana prohibition has evolved almost as drastically as consumer prices during the time Mizanskey was locked away. Two years into his sentence in 1995, just 25 percent of Americans felt marijuana should be legalized according to historical data from Gallup; at the time of his release in late 2015, national support had more than doubled to 58 percent. In 2016, 26 states have passed some form of legislation legalizing medical marijuana (Missouri could follow suit this coming November), and the legal marijuana market is expected to reach $6.7 billion nationally. Two decades of economic, political and social evolution have reinvented the world in ways Mizanskey could have hardly envisioned from within his prison walls. Chris Mizanskey, Jeff’s son, was one of the driving forces behind his father’s eventual release from federal prison. Just a 13-year-old when his father was handed his life sentence, the Sedelia, Missouri, native began a Change.org clemency petition on behalf of his father on January 27, 2014, it eventually garnered 391,529 supporters. Chris’s efforts caught the attention of criminal defense attorney and pro-marijuana activist Dan Viets. Under Missouri’s Prior and Persistent Drug Offender law, an individual with two prior drug-related felony convictions can, on a third conviction and at a prosecutor’s discretion, receive an enhanced mandatory minimum sentence of 10 calendar years behind bars, or as much as 30 years to life imprisonment without the possibility of parole or probation. Mizanskey’s first drug-related conviction was issued in November 1984 after he attempted to sell an ounce of marijuana to an undercover cop. He caught a second marijuana-related felony conviction seven years later for possession of between two to three ounces. Both times, Mizanskey plead guilty. Mizanskey’s third, and catastrophic, drug-related charge resulted from a doomed drug transaction in Pettis County, Missouri, in 1993. After driving a friend, Atilano Quintano, to a drug deal that turned out to be a sting operation orchestrated by the Missouri State Highway Patrol, Mizanskey was charged as a Prior and Persistent Drug offender. He received a life sentence judgment on May 24, 1994, from Judge Theodore Scott. Quintana, the undisputed architect of the doomed weed transaction, served a ten-year sentence. Two others men involved—Jorge Inbaudo and Jose Reyes—each spents a year in a county jail. Through separate plea deals, all three men avoided significantly longer sentences. After three defeated appeals between 1995 and 2011, news of Mizanskey’s gubernatorial pardon arrived in mid-2015. “When I got called into the caseworker's office, and I was told on the telephone that he had signed those papers, I think I kind of went into shock” says Mizanskey. He went back into his cell and lit a cigarette—a practice banned in federal prisons since 2014. Why Are People Still Doing Life for Weed? Though grateful for the decisions of both Gov. 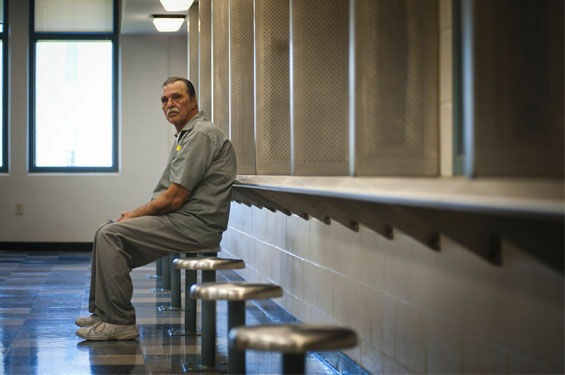 Nixon and the parole board tasked with deciding his fate, Mizanskey still can’t help but feel cheated by a legal system that kept him incarcerated for a third of his life over a plant now available to be consumed on a legal basis by a large portion of the United States population. “I was let down so many times through the years that I thought I should have got out through the court system,” he says. Mizanskey was granted parole on August 10, 2015, and walked from prison a free man on September 1, 2015. As of January 1, 2017, Missouri’s criminal code will no longer include the draconian Prior and Persistent Drug Offenders law—the result of a comprehensive revision of the state’s criminal statutes that became law in May 2014. In a court system set up to discourage expensive and time-consuming trials, Viets says Missouri’s Prior and Persistent Drug Offenders code has for years coerced individuals who might otherwise be found not guilty into pleading guilty in order to avoid absurdly harsh sentences. Unfortunately for Mizanskey, who chose to make a case for his innocence, the justice system proved cruelly retaliatory. Mizanskey says that he and Quintana, who passed away in 2010, kept in touch through letters throughout his incarceration. Mixed in with news about family and prison life, Quintana’s letters also expressed shock and regret for Mizanskey’s legal fate. Now a free man, Mizanskey has become a prominent figure in Missouri’s medical marijuana legalization movement.